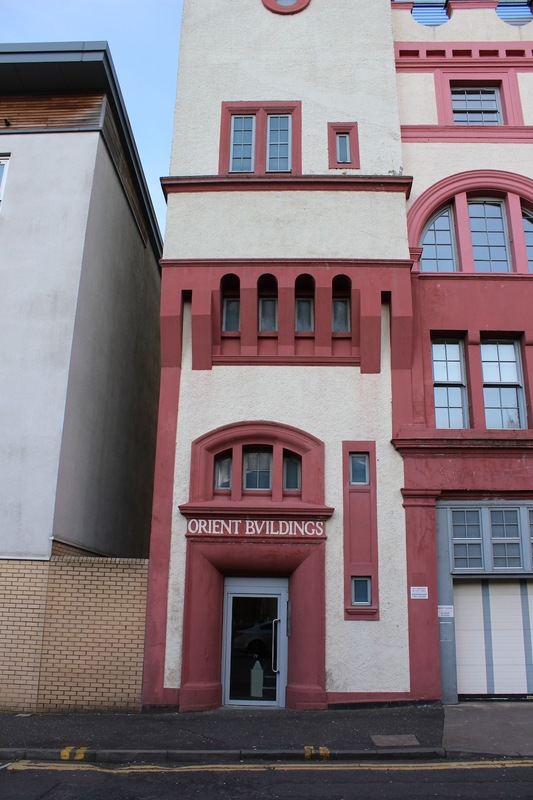 16 McPhater Street was home to the Orient Boarding House (later Ozalid’s Warehouse, and currently known as Orient House), a building that is at first quite underwhelming when compared to some of the other buildings on the list. I fully expected this post to be a quick one given its lack of unique decorative elements and any immediate anecdotal fodder relating to the building. However, as I expect and hope will be the case with all the buildings on this list, there was something fascinating to learn about, and in this particular case it was the building’s architect. 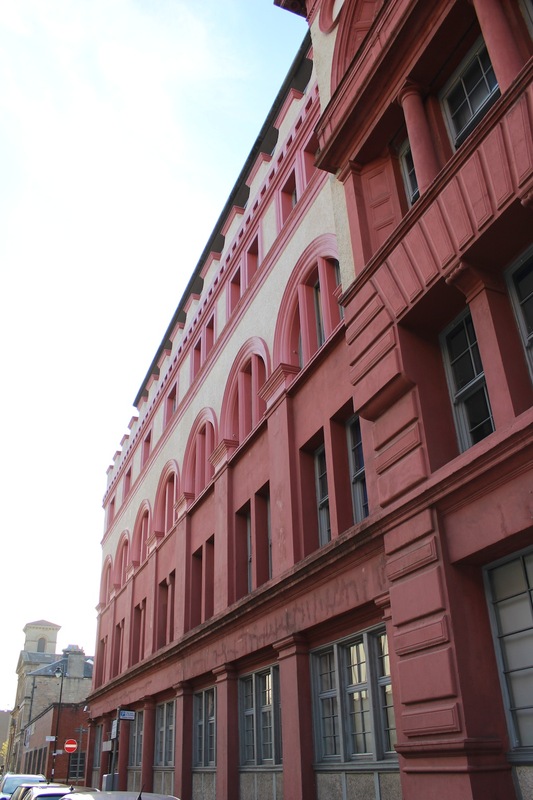 Designed by William James Anderson and completed in 1895, the building is of an iron-framed construction with unreinforced concrete infill and designed in an Italianate style. 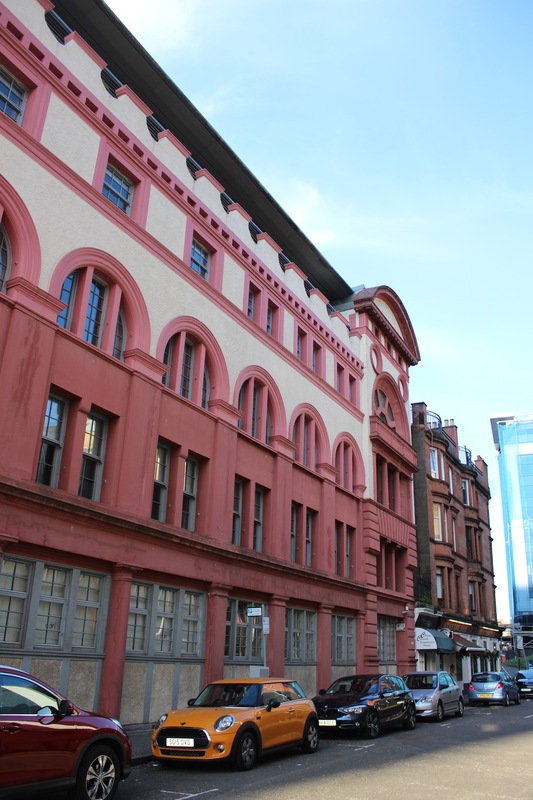 It is located in the Cowcaddens area of the city in a small cluster of listed buildings that also includes the A-listed Scottish Ambulance Centre and the newly extended Theatre Royal, alongside the B-listed Scottish Piping Centre by Campbell Douglas and Sellars (the same Campbell Douglas who had previously been in partnership with JJ Stevenson for the Blochairn and Townhead Parish Church and a name that will pop up regularly on this blog in the future). 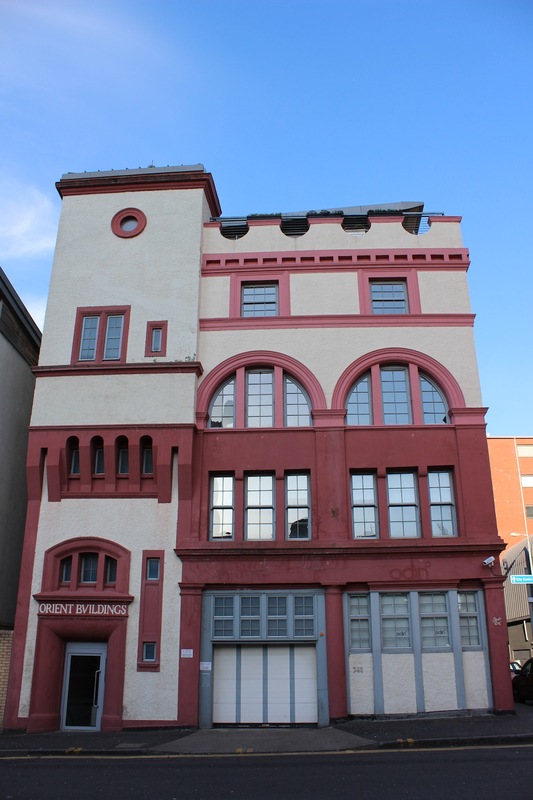 This asymmetric block has three bays onto Dunblane Street and eight onto McPhater Street, with each end being concluded with a raised and rusticated entrance elements, the pedimented one on to McPhater Street being the most elaborate of the pair. Despite being constructed from concrete, Anderson has designed the McPhater Street entrance to give the appearance of channeled stonework to the ground and first floors. A faux flat arch supported by square columns conceals a second floor balcony divided into three by two round columns with square pilasters to either side all with tuscan order capitals. The columns hold an architrave and frieze that divide the windows below from the large semi-circular fanlight above, this whole of the windows and fanlight is framed by a lightly moulded archivolt. The fanlight is flanked by a pair of blind oculi, whilst three dwarf windows above provide the base for the curved pediment that completes the composition. The Dunblane Street entrance is considerably simpler, with a dramatically curved reveal to the entrance door with a diocletian fanlight above at ground level, whilst above a tower with a small oculus at its head is corbelled out giving an added height to this corner and terminating the facade well. This typically Italianate element leads us to a new word, machicolation, the pronunciation of which makes me glad this is a blog and not a podcast! The windows between the corbels in this building derive from openings that were included in between the corbels of battlements in the Middle Ages that allowed rocks and other objects to be summarily delivered to the heads of the castle proprietors enemies. Each of these openings is called a machicolation, which is derived from the Old French words ‘macher’ and ‘col’ meaning crush/wound and neck respectively. Personally I think crushneck is much clearer both from a pronunciative and interpretative point of view, but thats just one man’s opinion. The elevation between the two bookends sees a primarily glazed ground floor, which would have originally been retail space or offices (and still appears to be although seemingly un-let), where a combination of round and square pilasters break up the windows. 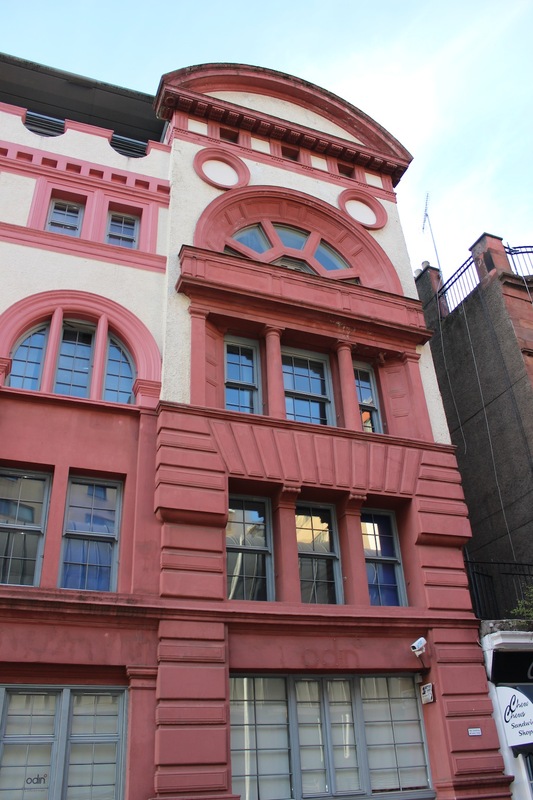 Above, on the first and second floors, one could interpret that Anderson was trying to give the appearance of a piano nobile by introducing paired windows to McPhater street and tripartite windows to Dunblane St that are surmounted by a diocletian fanlight, intended to give the impression that the first floor is one tall space rather than two distinct floors. The arches of the windows come down on square pilasters that project above the string course, also serving to break down the distinction between the first and second floors. At the third floor bipartite windows tie in with the square pilasters at the ground floor, whilst single windows line in with the rounded ones. Above the facade is completed by a heavily corbelled cornice supporting a castellated parapet of scalloped battlements. The building was renovated (the planning permission was submitted in 1986, I’m not certain what year the work was carried out) and converted into flats in the upper stories, returning them to their original residential use. This work also included adding an extra floor, which can be seen by the roof which oversails the parapet. This sits comfortably on McPhater Street, however on Dunblane St where the pitch of the roof is visible the slope looks rather incongruous. The listing of the building however it’s not primarily for its architectural appearance, but its construction method. The use of iron-framing with unreinforced concrete infill was particularly advanced for the time, and predates the reinforced Hennebique method that would later be used in the Lion Chambers and Botanic Gardens Garage. However, it is the use of this construction that would later prove to be Anderson’s downfall. 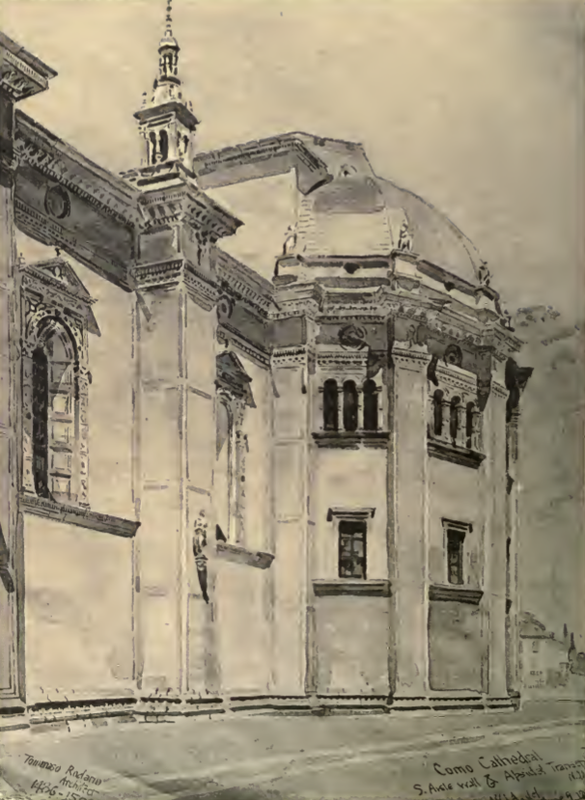 Born in 1863, William James Anderson was the first winner of the Alexander ‘Greek’ Thomson travelling scholarship (still administered by the GIA to this day) for his drawings of Thomson’s Queens Park Church. He used the £60 to travel extensively in Italy for five months, following which he published “Architectural Studies in Italy” and at just 27 became president of the Glasgow Architectural Association. After setting up his own practice he began regularly lecturing at the Glasgow School of Art, with some of his lectures being converted into the books ‘The Architecture of the Renaissance of Italy’ and ‘The Architecture of Greece and Rome’. His textbook for students on Italy was the first English language writing on Italian Renaissance architecture and was considered a seminal text of the time, and marked a change in opinion both in regards to the style and in educating young architects about architectural history. He was appointed head of the Department of Architecture at the School of Art by the time he was 30. 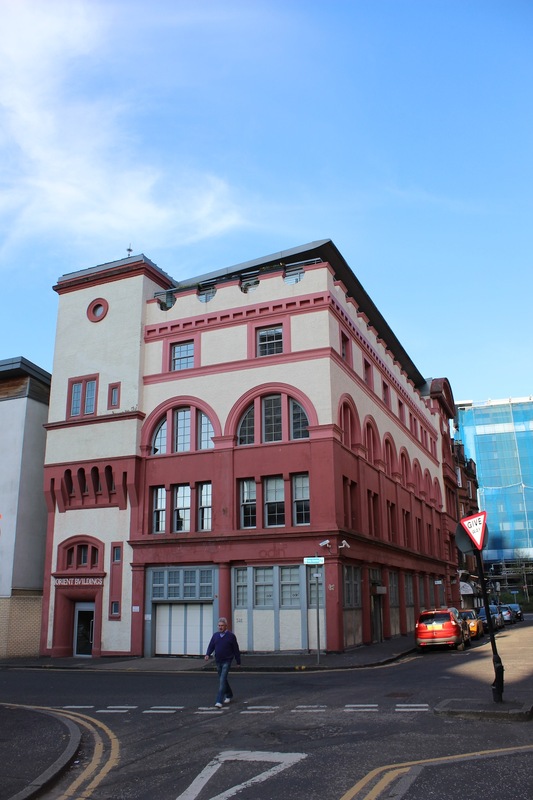 Having completed Orient House utilising concrete, Anderson moved onto a second project in Govan called Napier House, a five storey block on Govan Road. However, during the construction of the building the fifth floor partially collapsed, causing the death of 5 of the men working on the building. Whilst anecdotal evidence suggests that the cause of the collapse was a bad mix of concrete combined with the shuttering being removed too early, alongisde the jury finding the fault to be the structural engineers, Anderson still considered himself equally responsible even though he wasn’t in charge at the time. Susequently, as Andor Gomme eloquently puts it, he “worried himself to death”. Having had a nervous breakdown and been admitted to Gartnavel Asylum, he tragically took his own life on the 25th of March 1900, at just 36. Whilst this building is not by any stretch of the imagination one of the most decorative or extravagant in Glasgow, this clearly represents Anderson’s viewpoint that it didn’t make sense to attempt the “servile imitation” of styles of the past, stating that they should be respected for their historical value. Furthermore, it represents a successful and early attempt at utilising a new construction method and is an example of the work of a clearly talented and exceptionally knowledgeable young architect, author and educator who this city sadly lost far too early. The Historic Scotland listing for this building is available here.